The IFPAS Executive Council (EXCO) is nominated and elected by the eligible voting members of the association for a one-year term. The EXCO’s role is to provide organizational direction for the purpose of enhancing the image of the financial services industry, upholding the professional and ethical standards of the financial practitioners and serving the consumers and community at large. 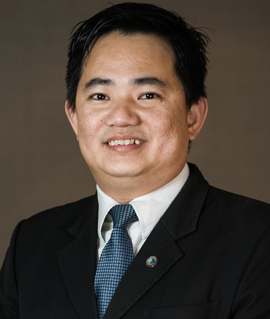 Mr. Allen Lim has served a year as a council member and Deputy Head of Education and Training (E&T) Department in IFPAS. His objective is to provide a platform to help members to be professionally relevant to their clients in the foreseeable trends and threats that is happening in Singapore. Through his experience, he believes that our clients will face life challenges in societal, family, and economic trends. In order to deliver the best service to the consumers, Allen has been actively rallying the idea that as a financial practitioner, one must have the necessary estate planning, risk management and retirement planning knowledge and skills to assist clients to ride through these trends and threats, financially. As he spearheads the IFPAS E&T department, Allen’s main goal is to keep our members abreast of the current trends and make the practitioners relevant to the clients. Having been in the industry for 19 years as a financial practitioner, as well as being versed in researching and educating various batches of ChFC®/S students, Allen will continue to hone the E&T department and be seen as a partner by various financial institutions in raising the level of professionalism and productivity of the financial practitioners. 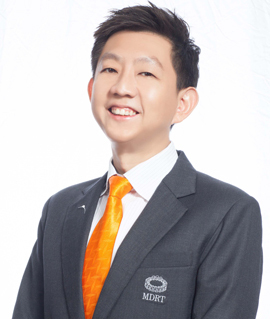 Mr. Carlos Lee started his career as a financial practitioner in 2003 with NTUC Income and managed to rise to the position of Senior Financial Consultant through hard work and perseverance. His educational and professional qualifications include Bachelor of Science in Computing & Information Systems, Second Class Honour (Upper Division), Certified Financial Planner (CFP) and Fellow Chartered Financial Practitioner (FChFP). He is also a Qualifying MDRT Life Member for 14 years. Carlos shared that attentive listening is the key towards his career success. Over the years, he believes in high touch communications and passion servicing for clients. This brings continuous business years after years. He has served IFPAS as Council Member for 2016/2017 and Honorary Secretary for 2017/2018. He also participated as a Team Leader in IFPAS-MediShield Life Pro-bono 1-to-1 Consultation project. This is one of the projects which brought impact not only in raising the image of the association and financial practitioners but as well as giving back and serving the community. With his vast experience in the industry, he is confident that he can continue to be of great contribution to the association. As IFPAS stands as the voice of the industry, Carlos is honored to take part in shaping the future of our industry. 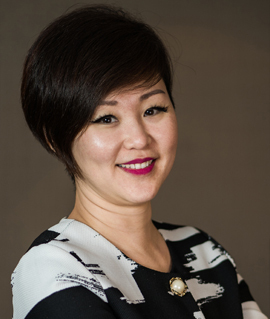 Delphine has been in the industry for 17 years and has received numerous accolades and awards like MDRT qualifier, top recruitment and top sales unit awardee. She is very passionate about her career and this is evident through her career achievements as well as industry involvement. Before being co-opted as IFPAS Honorary Treasurer for the term 2017/18, Delphine has held various positions in the association - Council Member (2013/14), Honorary Treasurer (2014/15) and Vice President for Membership (2015/16). She may not be officially part of the EXCO for a year but her heart remains in giving back to the community. She has been appointed by IFPAS as one of the Ambassadors for the IFPAS-MediShield Life (MSL) Project, one of the successful projects and considered as a key milestone in the history of the association. As one of the key position holders in the association, Delphine believes that anything and everything is possible as long all works together as a team. Her passion for the industry has grown each day because of the people who come forth and contribute to sustain the values of this industry. Changes are inevitable but what matters most is to focus on the inner voice and not be distracted by external factors. IBFA, ChFC, CFP, CLU, AFCouns, DLI, B.A. Upon graduation from National University of Singapore in 1996, Ms. Eline See joined the insurance industry. It turned out to be the best career choice she has ever made. As a mother of three, she fully appreciates the importance of financial planning. In 2015, Eline was elected as a council member and served in the Education & Training Working Committee. She also acted as one of the Ambassadors for the IFPAS MediShield Life Project. In 2016, she was elected as Honorary Treasurer and served in the Public Relations Working Committee, where she was put in charge of the IFPAS-MediShield Volunteers’ Appreciation Luncheon. With her experience of over 20 years, she hopes to be able to contribute more for the association as she strongly believes in paying it forward. Our industry is facing rapid changes in recent years and these include regulatory changes, global competitions and disruptive technologies. As a financial practitioner, she urges each and every one to thrive to stay relevant, cohesive and responsive in the face of changing time. 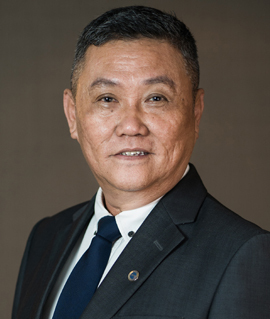 Mr. Francis Koh has been in the industry since 1995 and is currently a Financial Services Director with Prudential and achieved Million Dollar Agency qualifier over the last 3 years. His core strengths are training and coaching for agents and product developments at company level. With his vast experience in the industry, he feels that it is high time to do his part for the industry for the benefit of all practitioners. With the opportunity to engage the relevant government sector, Francis hopes that he can do his part to contribute to help create a more transparent and fair channel for all advisers who are positively helping majority Singaporeans and PRs getting insured and seeing to their financial needs. He believes all of us as advisers should come together as one and contribute as much as we can to help shape the future of everyone living in Singapore. The livelihood of all advisers can be better if we are able to work hand in hand with the relevant authority and engage them in a positive manner so that both can begin creating a transparent and fair financial planning choices for customers as well as for the financial advisers representing different companies. Francis is confident that if we work towards a common goal, we are able to help and improve one's life and standard of living with proper planning, integrity and professionalism. 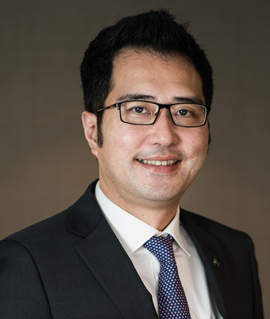 Mr. Ivan Chee joined the industry after graduating from NUS (Business School) in January 2002 and has since garnered many industry awards like MDRT for 10 years, FSMA SMA awards for the past 3 years and also attained CFP certification in 2006. He has been a constant Great Eastern (GE) Achiever under Producer and Leaders category. For the past few years, he is also consistently among the top 1% in GE under personal sales and top 15% under group sales. Ivan has served in GE Achievers Club Council as an EXCO for 4 years (2004-2007) and has been serving in GE AGEL (Association of Great Eastern Leaders) since 2008. He is currently holding the post of Vice Chairman 1 of AGEL. He strongly believes in the value of the financial practitioner’s work and would like to contribute on a national level. Through his involvement, he hopes to improve further the image of financial services professionals in the eyes of consumers and also the authority by working together to create more value. He is a firm believer in open consultation with the authority so that our industry can continue to thrive instead of being stifled by over regulation. 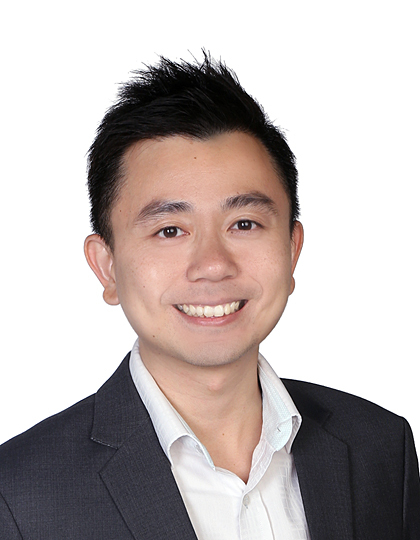 Jason Ng started his career as a financial consultant in 2003 and became a manager in 2006. Through his perseverance and hard work, Jason was promoted as a financial services director in 2010, where his responsibilities include managing teams of financial services consultants, working closely with financial services managers and organizing events and programs to improve the performance of the agency and managing relationship with the corporate management to maintain the operations of the agency. With his 15-year career in the industry, he has received numerous awards such as Member of Million Dollar Round Table, AIA Premier Agency, AIA Pinnacle Club, and AIA Club Zenith. Jason has myriads of principles that he follows to attain success not just for himself but also for the people around him. To establish a team, or group that can manage responsibility individually. He aspires every team member to contribute to the success of the organization. This is all about law of attraction. He believes that thinking positive and visioning the dreams, or goals will eventually lead to a reality. As Albert Einstein once said, “Imagination is more important than knowledge. Knowledge is limited. Imagination encircles the world”. Jason’s involvement in IFPAS stemmed from his aim to help make the industry a better one. As the industry faces a lot of threats and challenges these days, he believes that his contribution will be an added value to the association, which represents the financial consultant’s voices and maintains the professionalism in the industry. He strives to bring IFPAS to awareness to all the financial consultants in the industry and creating a platform for them to increase their skills, knowledge and competencies. The 30-year industry veteran has been a member of his company’s CEO council for more than a decade and seated in various committees, including products, operations, compliance and compensation.Mr. 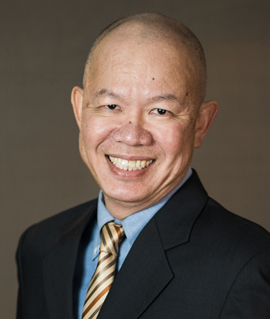 Leong Sow Hoe has been serving in the association since 2012 and also as Chairman of the IFPAS Alliance FAIR committee, the STAR Team. The committee's continued engagement with the authorities demonstrated Sow Hoe's leadership and commitment to the well-being of the industry, as well as raised the professional profile of practitioners as people who put clients and community ahead of themselves. His valuable commitment and leadership led IFPAS to be rebranded as the voice of the industry which profiles itself to various stakeholders through skills development and social engagement. Apart from his numerous leadership fronts, Sow Hoe has also headed the successful IFPAS-MediShield Life Probono 1-to-1 Consultation, which ended in mid-2016. This was made possible through our strong partnership with Ministry of Health, Prime Minister’s Office and People’s Association. As the current President, he will continue to engage the authorities and related industry players to safeguard the interests of our industry and groom future leaders for IFPAS. 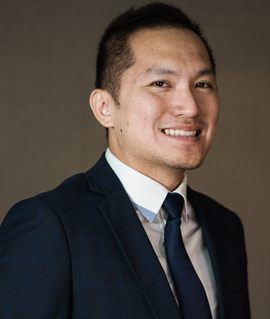 Mr. Melvyn Tham started his career as a customer services executive in an insurance company, providing customer care services to both practitioners and clients. He felt a deep connection with the industry and it inspired him to switch to providing financial services to clients. Performing well in the financial services industry was not as easy as he had imagined it to be. Providing financial services for close to a decade, Melvyn still faces resistance from clients and prospects, in spite of his professionalism. This could partly be attributed to misperceptions of our industry. Thus, he is reminded that there is still work to be done for the society to eradicate such negative impressions about the true nature of the important work we do. He started his involvement in the association as one of the volunteers of the IFPAS - MediShield Life Pro bono 1-to-1 Consultation Project. Through his participation in the project, he was able to know the association deeper and was later called to be a working committee member under the IFPAS Public Relations department. In the past year, he has encountered unfair misperceptions of the industry. Thus, he is reminded that there is still work to be done for the society to eradicate such negative impressions about the true nature of the important work that financial practitioners do. Melvyn has a vision to enhance the good reputation and importance of financial planning in the eyes of the public. To achieve this, working closely with various government bodies to raise the profile of our industry and demonstrate the quality or our work is a must. He looks forward to increasing interaction between fellow IFPAS members as this will provide a platform for the best ideas and practices to be shared among fellow practitioners. Together with the EXCO team, he aims to increase the productivity and professionalism of all IFPAS members. 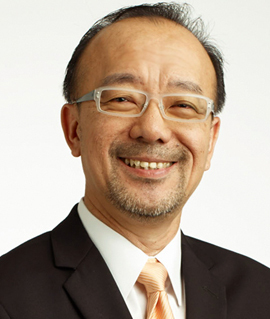 Upon graduation from National University of Singapore(NUS) in 2006, he joined Manulife Singapore and was promoted to Manager in 2008 and to Branch Senior Director in 2015. With 12 years of industry experience, he currently heads a 40-strong agency. 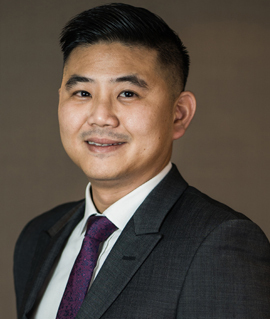 Eng Beow believes strongly in team work and advocate an inclusive environment for leaders and planners to constantly share ideas and solutions to improve the financial well-being of all clients. Apart from the values he lives by, Eng Beow believes that his core mission is to protect everyone’s dignity. Heconsiders financial planning as an evergreen industry in Singapore due to the fact that we can never become a welfare state. He believes in cause and effect. if we spend more now, we will definitely have lesser to spend in future; and if we save more now, we can have more in future, if we make plans. As he continues to serve the association, his aim is not only to just give back to the industry but to sincerely work for better social standing of all professional financial practitioners. Being in the financial services industry right after graduation was not a career choice that Mr. Ong Wee Yeap had imagined himself to make. As fate has it, it was also the decision that has shaped him to become the person he is now. Having faced resistance from close relatives and friends who had not so good perceptions of financial advisors and sometimes even outright declarations of friends and strangers of their insurance policies even when not asked, reminded him that there is still work to be done for the society to eradicate such negative impressions, which is definitely non-representative of the work that we do. Wee Yeap’s involvement in the association started as one of the volunteers of the IFPAS - MediShield Life Pro bono 1-to-1 Consultation Project. He is a firm believer that our customers deserve the highest level of professionalism, care and service. He sincerely understands client’s financial concerns and goals by recommending the best financial plan so that they and their families can have adequate insurance coverage. Elected as 3rd Vice President, he aims to create more value for our members through organizing activities that can raise our professional standards; networking events where we can learn ideas from members to enhance our financial advisory skills and garnering member benefits where we can bring clients to conducive places for business discussion and more. Being an Agency Leader for the past 28 years with numerous company and industry awards, he strongly believes in upholding the professional excellence in the financial industry to advance the entire landscape of financial services for the betterment of lives. He believes that everyone CAN make a difference. His agency has consistently been in the top 10% within the company. Roland’s heartbeat is to give back to the society through an intergeneration movement, particularly in impacting the X and Y generations. In the past 2 decades, he has been actively involved in community and humanitarian work in various countries, touching lives in a holistic and integrated manner simultaneously. Prior to his involvement in community and humanitarian work, Roland has been a moderator of the Australian LUTC programme through Life Underwriters Association (the predecessor of IFPAS). Roland is currently part of the 7-member STAR team that represents about 20,000 financial practitioners engaging MAS on the FAIR issue. Currently an IBF Fellow, he actively participated in the discussion of progressing a comprehensive competency roadmap for financial advisers that birthed to the IBF Standards for Financial Planning. His journey in the IFPAS EXCO started in 2012 and have served different portfolios – from a Council Member (2012/13), Vice President for Education & Training (2013/14, 2014/15), President-elect (2015/16) and lastly, President (2016/17, 2017/18). Just like a drop of water would create a ripple effect in the ocean, Roland believes that his passion and insights in the financial industry for the past 31 years will be invaluable to the association. Even as he takes the role of Immediate Past President, he will continue to endeavour to move the association to a higher level, cultivate the new generation of leaders and ensure the expansion of the Premier Association in many fronts. Since his early days, Jialong always looked up to his parents as role models that impacted his life in the financial services sector. His father was a businessman from China/Hong Kong, who influenced him to be an entrepreneur, while his mother helped in cultivating his passion to help other people and believe in the notion of “Always Give First”. Upon graduation from NUS in 2004, he almost started his career as a social worker when the entrepreneur in him decided to take up the opportunity to become a financial consultant despite facing resistance from the people around him. Jialong knew that it is up to him to make this change and to let the society understand the true positive impact a financial consultant can bring onto the clients. Jialong had the privilege to be invited to help out in the MediShield Life Project and subsequently looped in to be part of the IFPAS Public Relations Working Committee that spearheaded the inaugural IFPAS All-Star Awards in early 2018. He has always adopted the teaching from what he learnt in school onto what he does as a financial consultants. In Social Work, the concept of “Teaching a person how to fish, and not to give him the fish” made him realize the importance of financial education, and that this can be applied across the industry as well. Therefore for years, Jialong has been advocating this change. There may still be bad practices in the financial industry (same for many other industries), and thus this may not be an easy task. However, Jialong’s belief is that because it is not easy, it is worth it. The best way to make this all happen is to start from oneself. Through Jialong’s experience and educational background, he aims to contribute interesting ideas on creating value for members and clients. Joining the industry in 1993, Willing strongly believes in the value of being a financial practitioner. Although practitioners still face resistance from friends and relatives due to the nature of the job, he strongly believes that if we practice professionalism, we will definitely change the perception of our consumers. His leadership style is to lead by example. He endeavours to lead a profession lifestyle that will in turn help mould younger generations. Willing started his involvement in the association as one of the volunteers of the IFPAS – MediShield Life Pro bono 1 -1 Consultation Project. Through this, he got to know the association better and was later called upon to become a working committee member under the Membership department. 3. Promote proficiency, competency and ethical responsibilities. 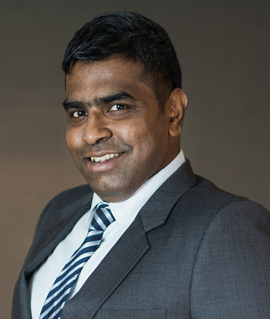 After a short stint in the banking and finance industry with Barclays, Ashvin joined Prudential in July 2009 on the back of a troubled economy, right after the subprime crisis of 2008. The financial planning industry was the last career he had envisioned himself being in, as he had attained bachelor’s degree from SIM-RMIT, and came from a family of educational professionals. His mother was a vice principal while his father was a polytechnic lecturer. Joining the life insurance industry was a surprise to his family and to his peers, however after the initial struggle,he proved his worth to his family and friends by achieving numerous recognition and accolades from the company. A notable event in his life was being able to help a family member, who was facing critical illness, benefit from his financial advice. Ever since then, his faith in the life insurance industry has grown by leaps and bounds. His involvement in IFPAS started in 2015, when he became a volunteer for the IFPAS-MediShield Life project and was later called upon to contribute to the Public Relations Working Committee that spearheaded the inaugural IFPAS All-Star Awards. Ashvin’s personal mottos in life are do onto others as you would want others to do onto you and that we should never bite the hand that feeds us. 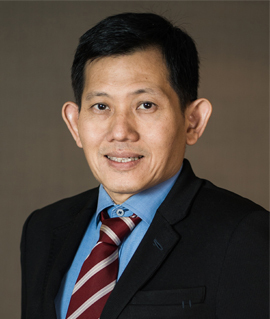 As he continues his journey with IFPAS, he will continuously drive to protect and grow the reputation of the many financial practitoners in Singapore. By doing so, he is able to give back to this wonderful career that has given him everything that he could ever ask for.